ASHLAND — The Ashland Center for Nonviolence at Ashland University is hosting a series on immigration titled, “Who Is My Neighbor?” during September and October. 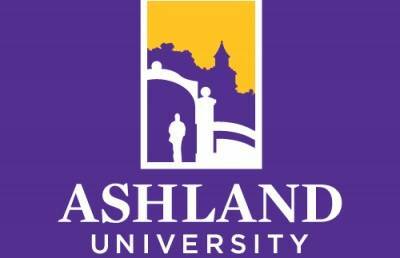 The five-part series, which is free and open to the public, will include two public lectures, a panel discussion, a film screening and discussion, and a book discussion to be held on the Ashland University campus. The events are co-sponsored by the Catholic Commission of Wayne, Ashland and Medina Counties, and the Ashland University Religion Department. The series will open with a public lecture by Brian Hoffman, Justice Campaign Fellow at the International Institute of Akron, on Sept. 18 at 7 p.m. in the Ridenour Room of the Dauch College of Business and Economics. On Sept. 19, a film screening of “Trails of Hope and Terror” will be held and Dr. Jennifer Rathbun, professor of Foreign Languages at Ashland University, will lead a discussion following the film. The screening will be held at 7 p.m. in the Hawkins-Conard Student Center Auditorium. A panel of faith leaders will lead a panel discussion on the topic, “Christianity and Immigration,” to be held Sept. 25 at 7 p.m. in the Ridenour Room in the Dauch College of Business and Economics. The panel will feature Sister Rita Mary Harwood, secretariat for Parish Life and Development for the Roman Catholic Diocese of Cleveland; Bishop Abraham Allende of the Northeastern Ohio Synod, Evangelical Lutheran Church of America; and Dr. Carlos Campo, president of Ashland University. A public lecture by Jeff Stewart of the Immigrant Worker Project will be held Oct. 2 at 7 p.m. in the Ridenour Room in the Dauch College of Business and Economics. The Immigrant Worker Project (IWP) is dedicated to the struggle for justice and human dignity for rural immigrant workers from Latin America. The organization works toward a future where economic democracy and communities of solidarity are achieved for rural immigrants in Ohio. On Oct. 16 at 7 p.m. in Eagles’ Landing in the Hawkins-Conard Student Center, a discussion of the book, “The Distance Between Us” by Reyna Grande, will be led by Dr. Dorothy Stratton, retired AU Social Work professor, and Dr. Nancy Udolph, AU Social Work professor. This book highlights the child immigrant experience and copies of the book will be available for purchase in the AU bookstore.